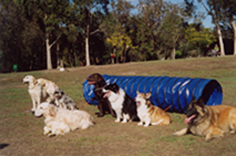 Welcome to the Eastern Suburbs Obedience Dog Club!! 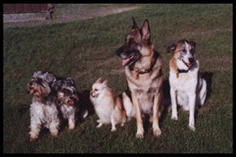 At our club we aim to promote responsible pet ownership through obedience training that is enjoyable to both you and your dog. Our classes run every Sunday at Simpsons Park Cochrane St, Mitcham, from 9:00am until 12:00am. New Members will be enrolled on the first and third Sunday of each month at 9:15 am. New Members and Beginners (those who have not completed four lessons) classes will run from 9:30am. until 10:00 am. Obedience trial classes start at 10:15am.